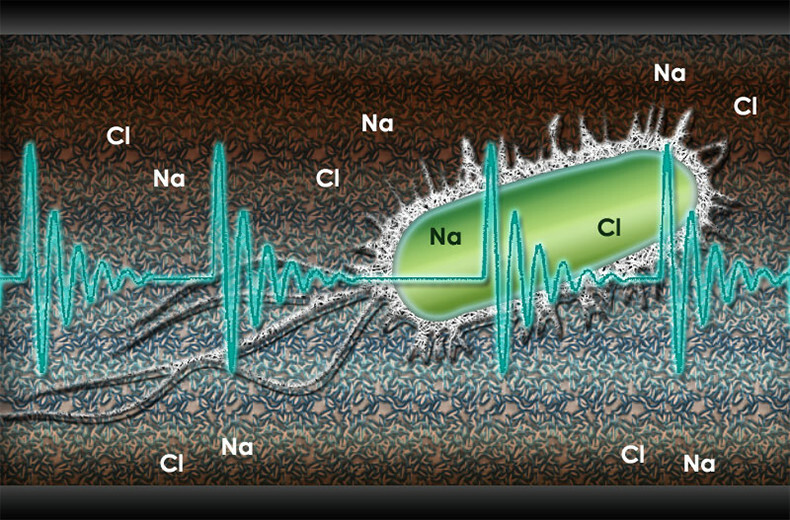 Bacteria and/or algae that pass through the water conditioner's ring of ferrites become charged by the Hydropath signal. 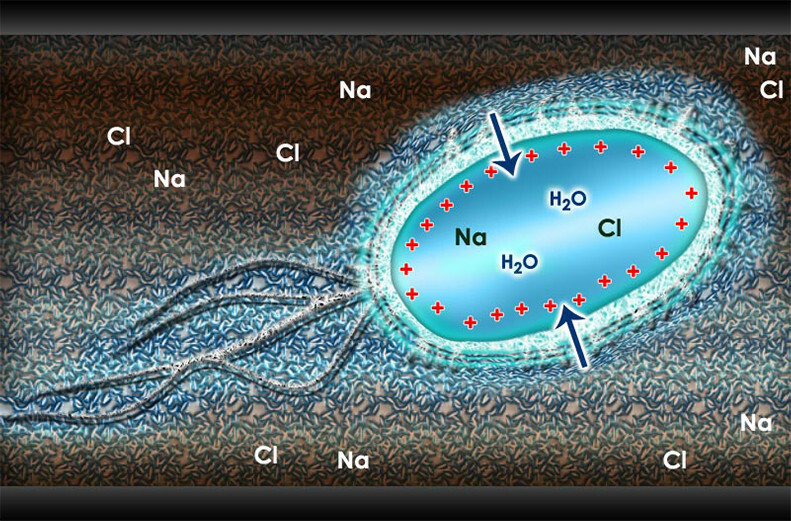 This charge forms a hydration layer of pure water around the cell. Osmosis forces water into the bacteria and/or algae, creating osmotic pressure, which ruptures the cell membrane and causes the cell to perish. Irreversible electroporation is a novel procedure that uses discreet probes to deliver high-voltage localized electric current to induce cell death without thermal-induced coagulative necrosis. 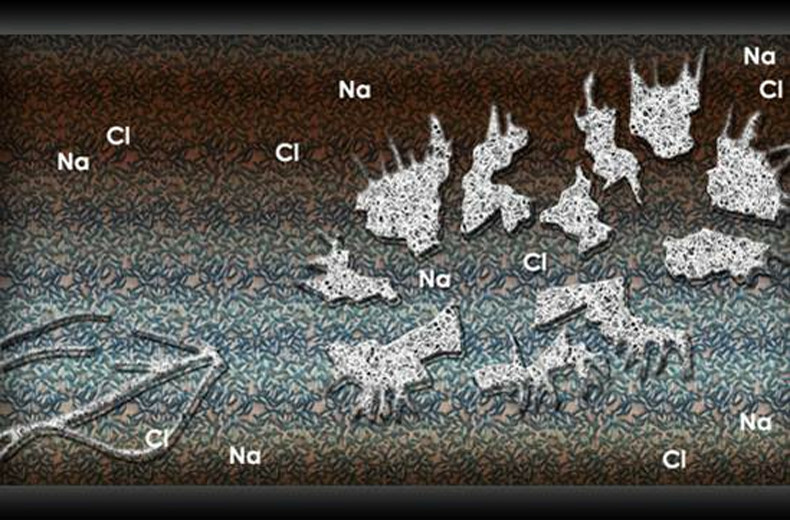 The Hydropath signal is believed to cause this to occur in single-cell waterborne pathogens. In addition, as the Hydropath signal passes along a pipe, it disrupts the bacteria and/or algae clinging to inner surfaces, gradually releasing biofilm over time. 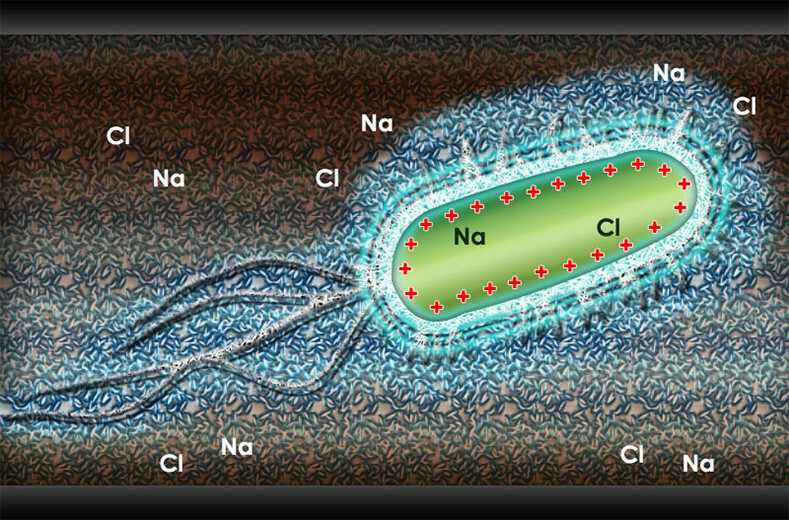 The osmotic pressure built inside the bacterium causes it to burst and perish.